In February 2014, I felt a ship camouflaging in a ringed camera lens flare, and I asked if they could reveal themselves. 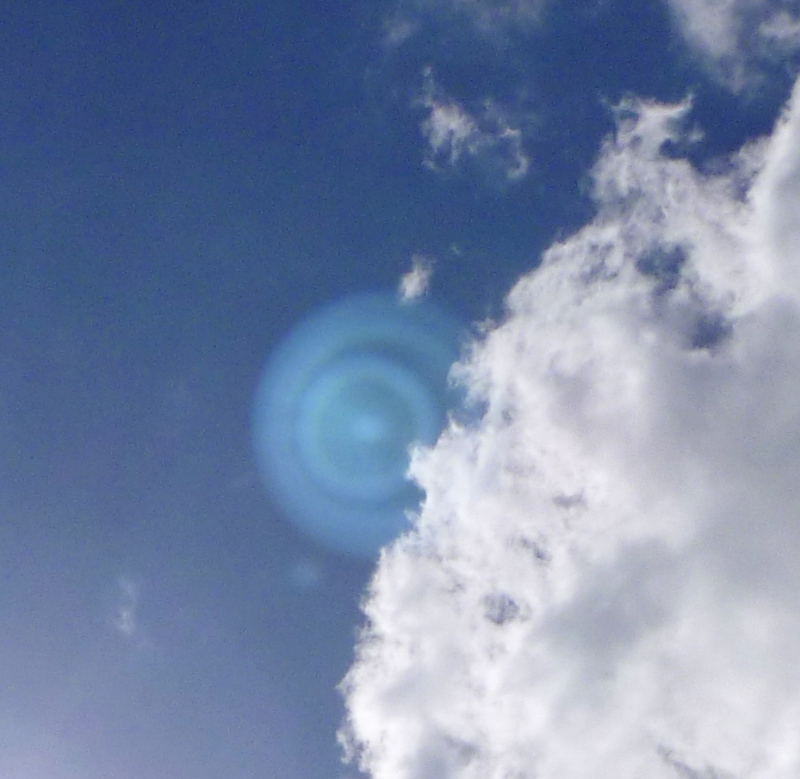 The Shem Arua immediately went partway behind a cloud, showing itself as a ‘spacial presence’ rather than a lens flare, which can only be in front of objects in the photos. There is a very playful, light-hearted aspect to connecting with higher vibrational beings, our family of the stars, as they know the way for us to connect with them is by ‘lightening up’, encouraging, guiding and assisting us to lift our vibration. Love, joy, trust and a peaceful heart and mind are the great facilitators of beautiful love-based connections and experiences.